Route the data cables up and out the top of the server. 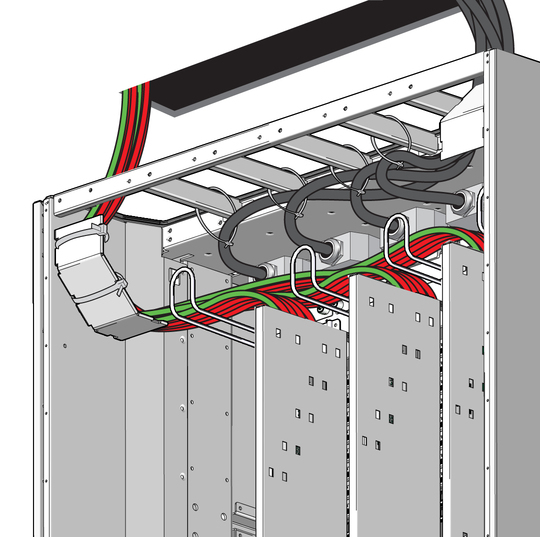 Review the server's cable management devices – see Cable Management Devices. Stabilize the server to the installation site – see Stabilizing the Server. Confirm that the left cable bracket is installed in the upward position – see Prepare the Cable Routing Brackets. Lead the data cables to the left cable bracket and then up and out the top of the server. 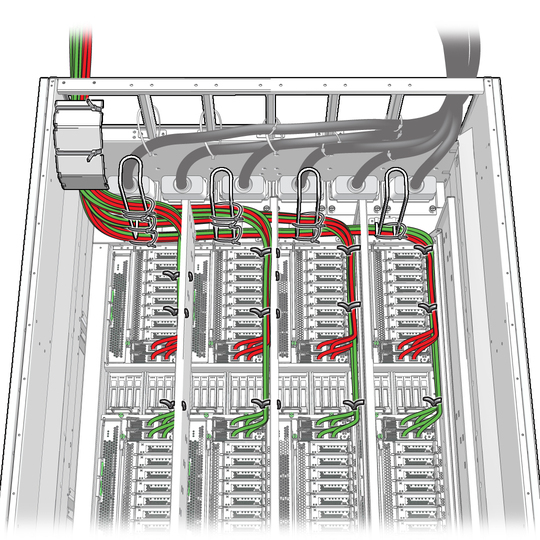 Using tie-wraps, secure the data cables to the cable partitions, cable hooks, and and the left cable bracket. Secure the data cables to a cable tray or device installed above the server. Refer to the cable tray documentation for instructions.